Defense Minister Avigdor Liberman on Monday told the army’s top brass to prepare for an Iran-led threat coalescing on Israel’s northern border, which he said includes the Lebanese Armed Forces. “A new reality is coming together against us: the Lebanese army, in cooperation with Hezbollah, the Syrian army, the Shiite militias in Syria and, above it all, Iran — all of them coming together into one front against the State of Israel, the northern front,” Liberman told the generals. 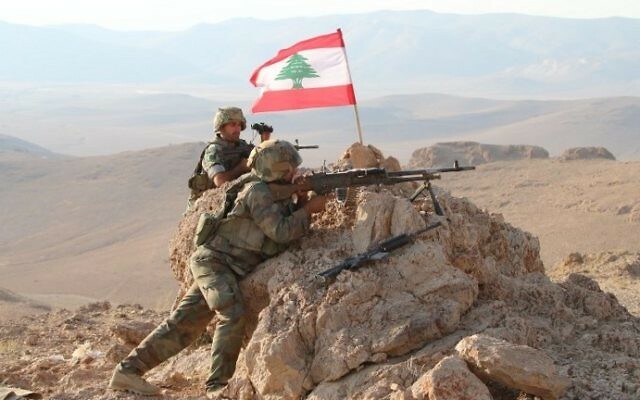 Though Israeli officials have repeatedly warned of an increasingly symbiotic relationship between the Iran-backed Hezbollah terrorist group and the Lebanese government, including the military, it is rare for Beirut itself to be included in the list of the Iranian axis’s members. 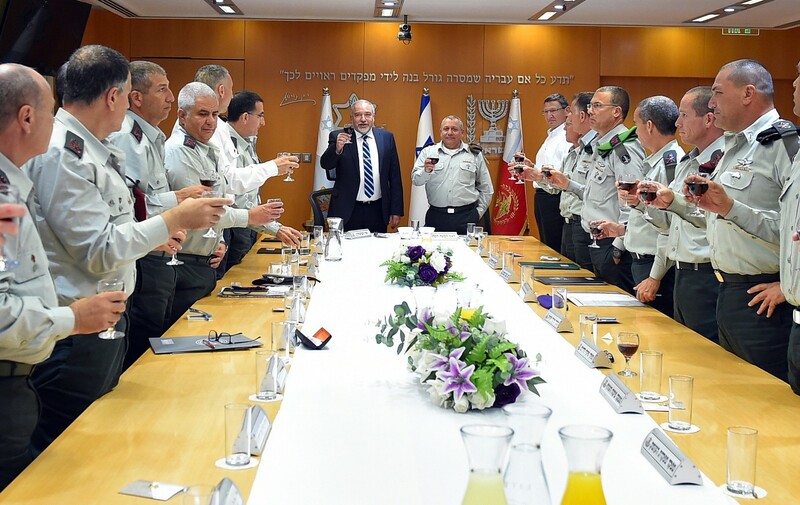 The defense minister made his remarks at an event with the IDF General Staff to mark Israel’s Independence Day on Thursday. “This is a strategic challenge of the first degree that requires all of us — the IDF and the entire defense establishment — to go up a notch and further strengthen our readiness and preparedness,” Liberman said. Prime Minister Benjamin Netanyahu did not attend the ceremony, as he does almost every year. His office said it was a scheduling issue and that he would meet with the General Staff soon. Earlier on Monday, Liberman said in an interview with the Walla news site that Israel will not allow Russia to impose restrictions on its activities in Syria. 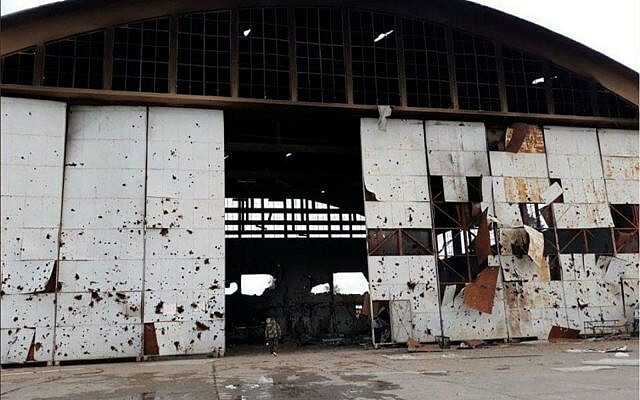 Liberman refused to confirm that Israel was responsible for a strike on Iranian forces at a Syrian air base last week, despite an unnamed senior military source quoted in The New York Times Monday as confirming that the Jewish state was behind it. “We will not allow Iranian consolidation in Syria. We won’t allow any restriction when it comes to Israel’s security interests,” he continued. He asserted that Iran also targets Israel through its proxies Hamas and Hezbollah, terror groups that would not be able to function “for a single day” without funding from Tehran. Liberman warned that Israel will also not allow Gaza to become an “Iranian base” either. He said that Israel’s strategy regarding the coastal enclave entails its demilitarization, a prisoner swap deal with Hamas, and finally its rehabilitation. Tehran threatened Monday to deliver a response to the alleged Israeli strike, saying it would come “at the right time” and that Israel would “regret” what it had done.